When searching for any search word or phrase in Duckduckgo, using the additional term “mirror”, the search phrase will be displayed upside down. Example: “mirror hello world” will display the output “plɹoʍ ollǝɥ”. 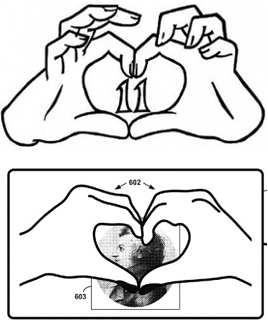 Tonight in a discussion with a friend about the absurdity of patents, I came across the story that Gareth Bale, – a (seemingly) famous football player who recently was acquired by Real Madrid, – did trademark the “heart sign”, whereas I was wondering if this is in any contradiction to the recent patent, which Google got for the “heart shape”!?? The question remains: How many ways of perversion can trademarking and patenting still offer?